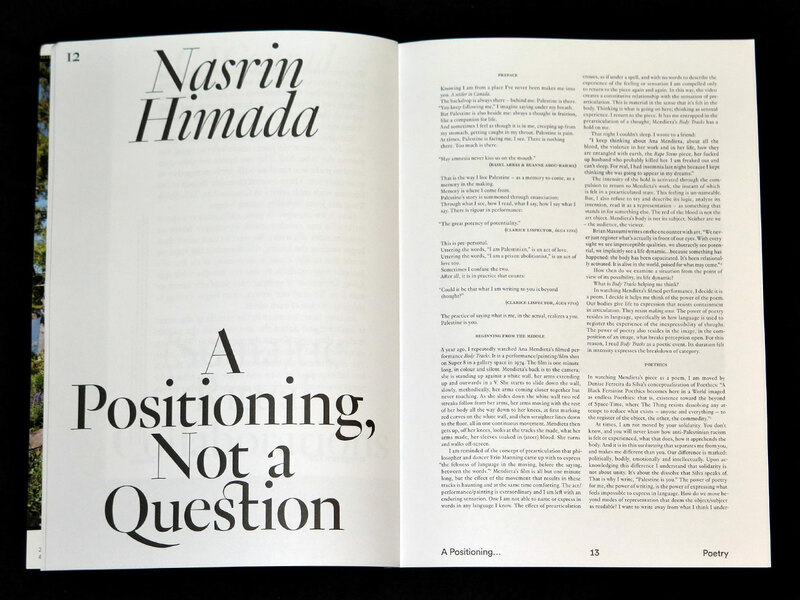 Open Editions (London) and Hordaland Art Centre (Bergen) are pleased to announce the publication of the third book in the Occasional Table Critical Series. 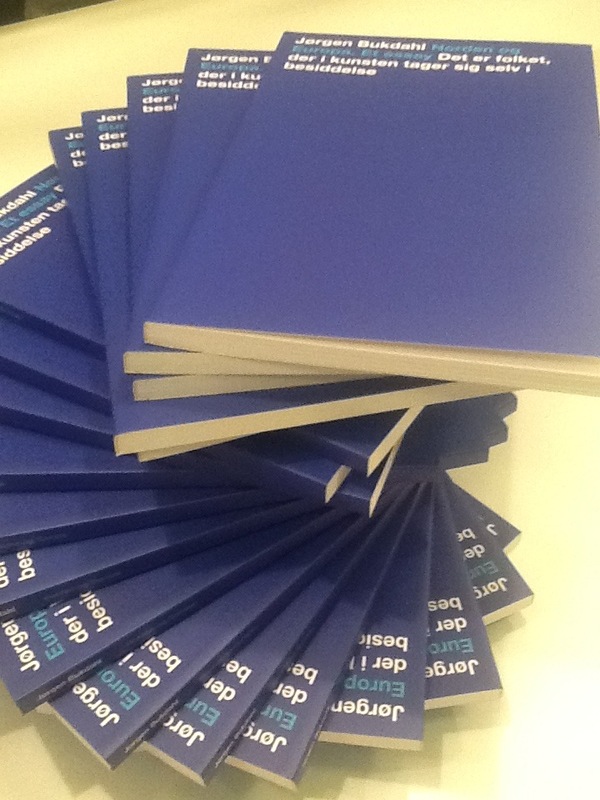 ‘Self-Organised’, edited by Stine Hebert and Anne Szefer Karlsen, follows the critically acclaimed ‘Curating Subjects’ and ‘Curating and the Educational Turn’. The current economic situation and society’s low confidence in its institutions demands that artists become more imaginative in their self-organisation. 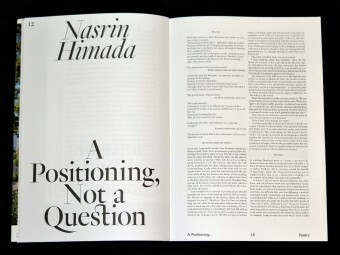 If labels such as ‘alternative’, ‘non-profit’ and ‘artist-run’ dominated the self-organised art scene of the late nineties, the separatist position implied by the use of these terms has been moderated during the intervening years. 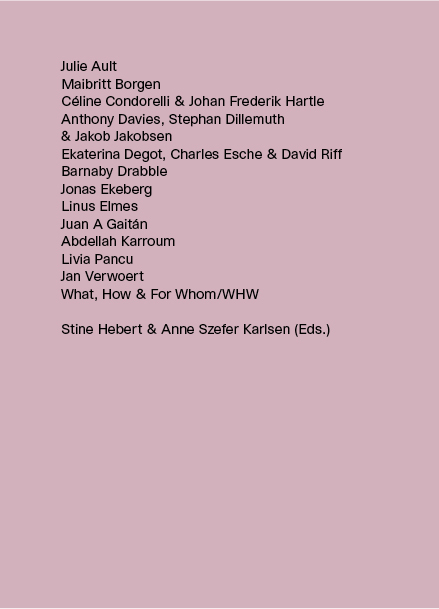 This new anthology of accounts from the frontline includes contributions by artist practitioners as well as their institutional counterparts that provide a fascinating account of the art world as a matrix of positions where the balance of power and productivity constantly shifts. Artists, curators and critics discuss empirical and theoretical approaches from Europe, Africa and South and North America on how self-organisation today oscillates between the self and the group, self-imposed bureaucratisation and flexibility, aestheticisation and activism. 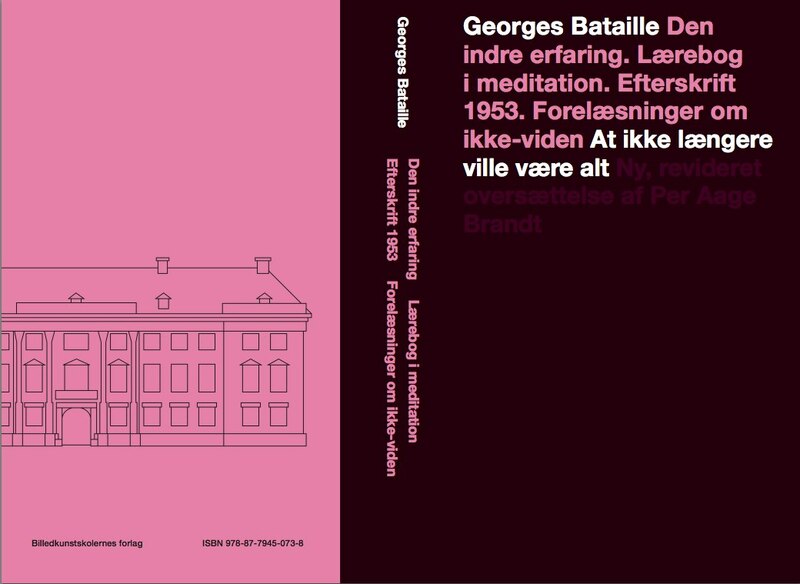 Danish linguist and poet Per Aage Brandt presents two new releases on May 1. at Motto Charlottenborg: His newly revised translation of Georges Bataille’s Den Indre Erfaring, published by Billedkunstskolernes forlag and his own latest collection of poems Elegi.Poesi, published by Tiderne Skifter. The event is part of May 1. at Kunsthal Charlottenborg, which also includes two exhibition openings; in Toves Salon as well as in the exhibition series POST, performances and a panel discussion on Leigh Ledare’s work and current exhibition in the Kunsthal. In this book, Gerard Byrne brings together the culmination of ten years of research into the Loch Ness Monster, the myth fuelled in the 1930s by the popular press in order to sell newspapers. 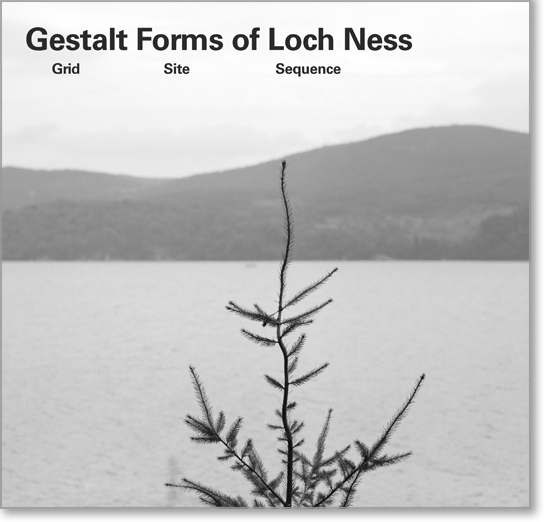 Appropriating formal conventions from the history of Land art that position landscape as the “other,” Byrne has compiled a series of images that deploy Loch Ness as a signifier for the enigmatic, the unreadable. Using both the populist literature spawned by the Loch Ness myth and the photographic material his own expeditions have yielded as “found material,” Byrne has developed a project both humorous and melancholic, that ultimately reflects a crisis of belief in the photographic image that has surfaced since the last heyday of Loch Ness interest in the 1970s. Byrne was born in Dublin in 1969 and graduated from National College of Art & Design, Dublin. In 2007 he represented Ireland at the Venice Biennale and the Biennale de Lyon and in 2008 at the Sydney Biennial, the Gwangju Biennial, and the Turin Triennial. Recent exhibitions include solo shows at MK Gallery, Milton Keynes; Lismore Castle, Co Waterford; Glasgow International Festival of Art; Lisson Gallery, London; and Green On Red Gallery, Dublin. 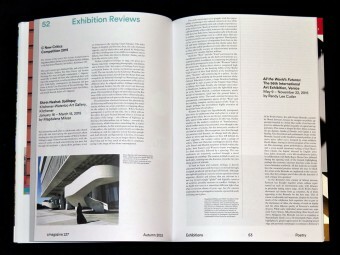 Group exhibitions include “Little Theatre of Gestures”, Malmo Konsthall, Sweden; “Slow Movement” at the Kunsthalle Bern, Switzerland; and “Sense and Sentiment” at the Augarten Contemporary, Vienna, Austria. Gerard Byrne is Professor at the School of Time-based Media at the Royal Danish Academy of Fine Arts in Copenhagen. The book is co-produced by Milton Keynes Gallery and Fondazione Galleria Civica, Trento. 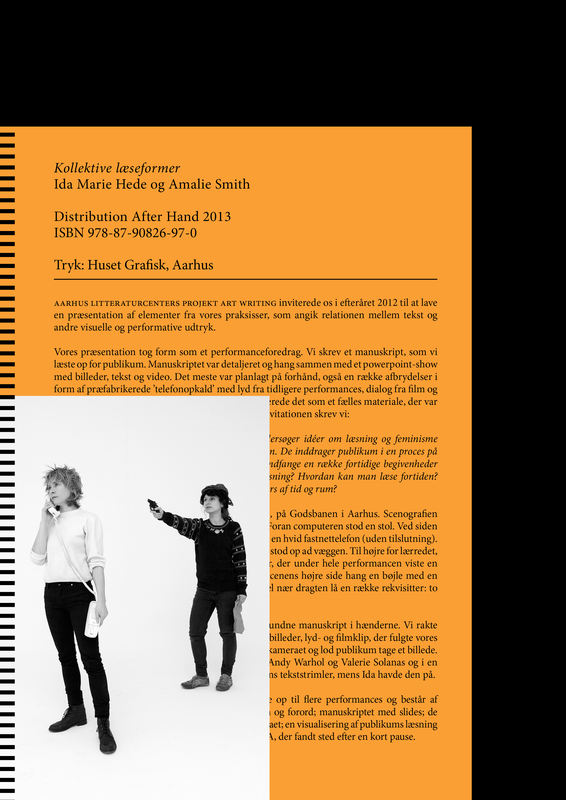 Ida Marie Hede og Amalie Smith udgiver Kollektive læseformer på Distribution After Hand. Kollektive læseformer er et performanceforedrag i bogform og består af et spiralindbundet manuskript med tilhørende slides, 18 underbelyste snapshots, fire teatralske studiefotografier, et introducerende forord, en Q&A og en sonisk plakat på 70x100cm. Presentation of the publication and Jørgen Bukdahl’s work by Finn Slumstrup, Lars Bukdahl, Else Marie Bukdahl and Carsten Juhl. Wednesday February 20. 17.00 – 20.00 pm. 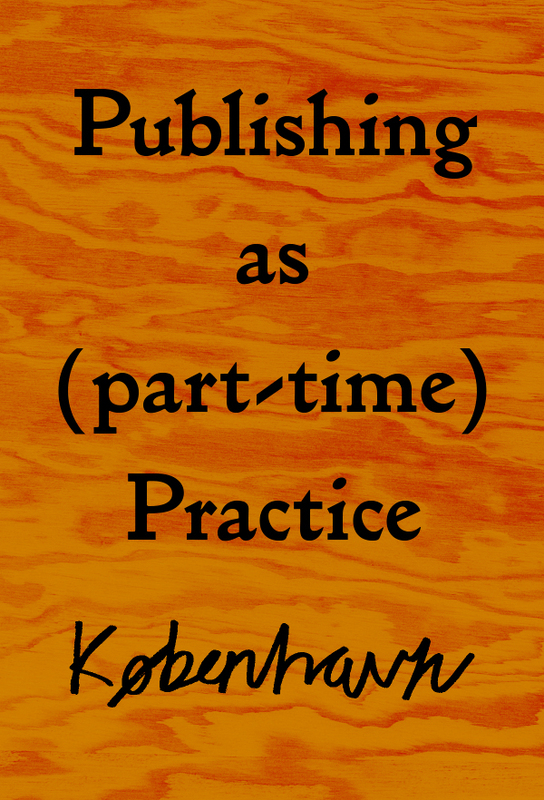 changing professional role as both author and publisher. 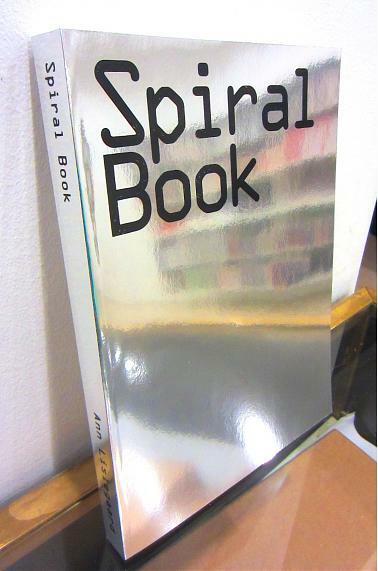 New York Art Book Fair 2012. Danish and Swedish independent publishing scenes. 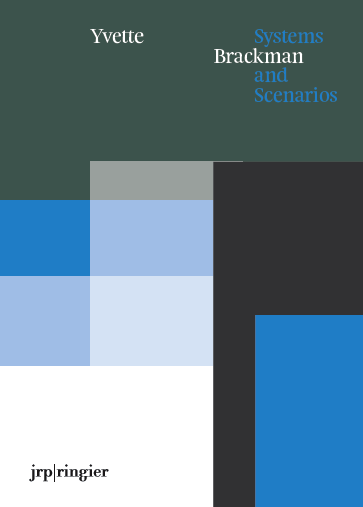 Systems and Scenarios is the first monograph about the Copenhagen based American artist, Yvette Brackman’s work. Her complex and evocative work takes many forms such as installations, sculptures, performances, videos and text. She explores themes such as the interaction between origin and memory; trauma as a result of displacement and alienation in the community; cultural survival and adaptability; design objects and their changing functions, and political systems and their consequences. 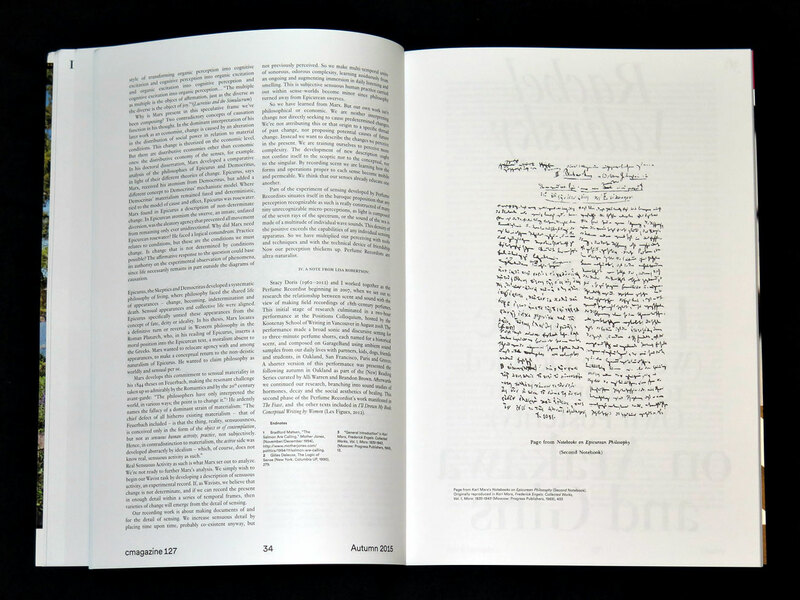 The book contains a series of interviews with Brackman, conducted over several months in the fall of 2011 by the independent curator and writer Helene Lundbye Petersen, and a comprehensive essay by Heike Munder, director of the Migros Museum für Gegenwartskunst in Zurich. Both of these contributions illustrate Brackman’s visual and conceptual approach in detail and examines how she weaves together a wide range of works and topics, from the artist’s own family roots in the Soviet Union, to the indigenous communities in Siberia and how their culture is influenced by global trade . 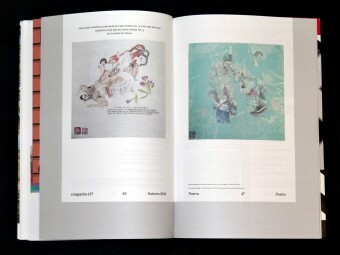 The book is published by JRP Ringier, 2012. 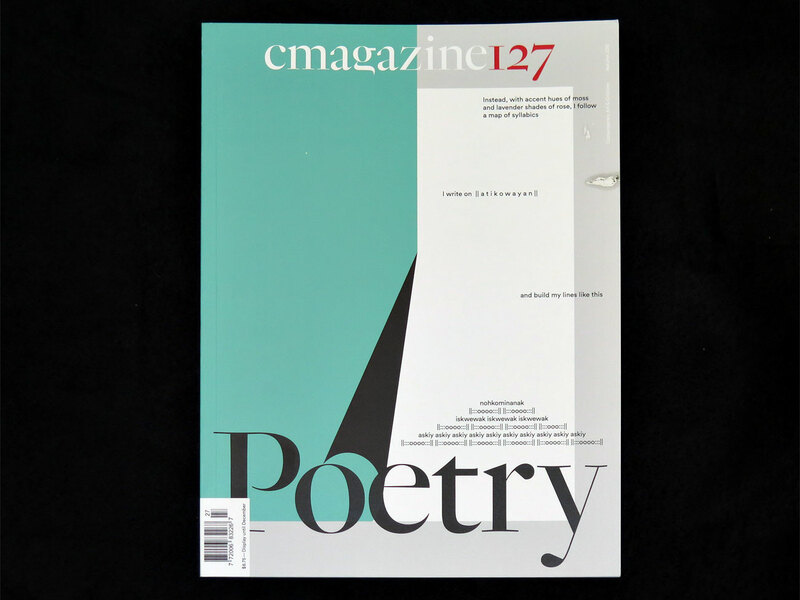 With introductions by editor Brett Bloom, book contributor Nils Norman – and a tasty treat from Bennys Mobile Pizza Oven! What do libraries built into airstream trailers, bar bikes, and giant windmill blades on wheels have to do with the bypassing traditional forms of social mobility? How can we use mobile projects to reimagine urban and rural spaces that are normally closed to creative gestures and public services? Mobile Phenomena is a new collection of over eighty-five photographs and short interviews. It is the result of years of research on common instances of mobile phenomena that impact people and their uses of shared city and rural spaces. 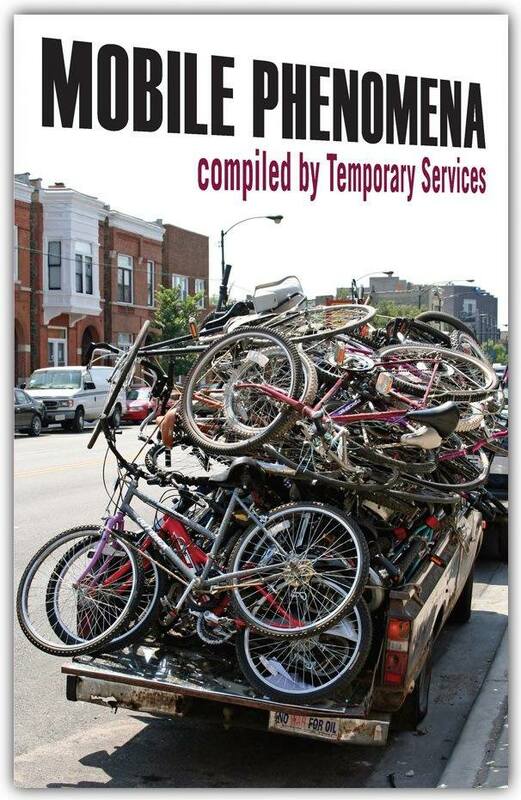 In this book you will find bookmobiles, mobile forms of commerce, inventive mobile art projects, mobile structures created for use during protest, and some strange applications of mobility that defy easy description, categorization, or whose function could not be readily discerned. Mobile Phenomena can unhinge the expected roles we take in shared city spaces. Mobile structures can become a new norm when they work. It is our hope that this book can be an inspiration to other citizens, artists, activists, nomads, and anyone who is interested in escaping the constraints of their location, culture, or other factors that make realizing one’s desires difficult. The award-winning art group Temporary Services is a Chicago-Copenhagen-Philadelphia-based collaboration of three artists. Brett Bloom, Salem Collo-Julin, and Marc Fischer have been working together as the art group Temporary Services since 1998. 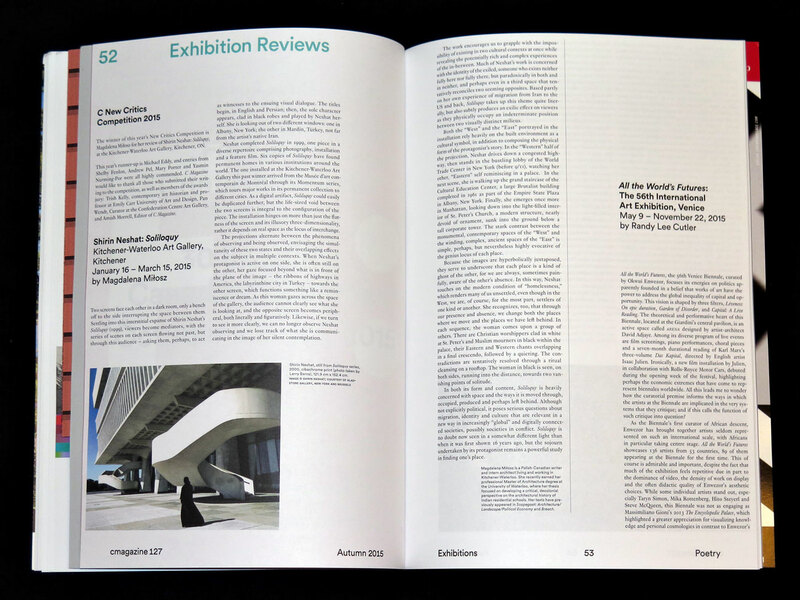 Their group work has been exhibited in museums and exhibition spaces worldwide including MASS MoCA, Yerba Buena Center for Art, Kunsthalle Fridericianum, Kunst-Werke, and the Stedelijk Museum. They are winners of grants from Artadia, Art Matters, and CEC ArtsLink. Their project Prisoners’ Inventions resulted in a popular book and exhibition that has been presented all over the world, including the 2008 Athens Biennial in Greece. 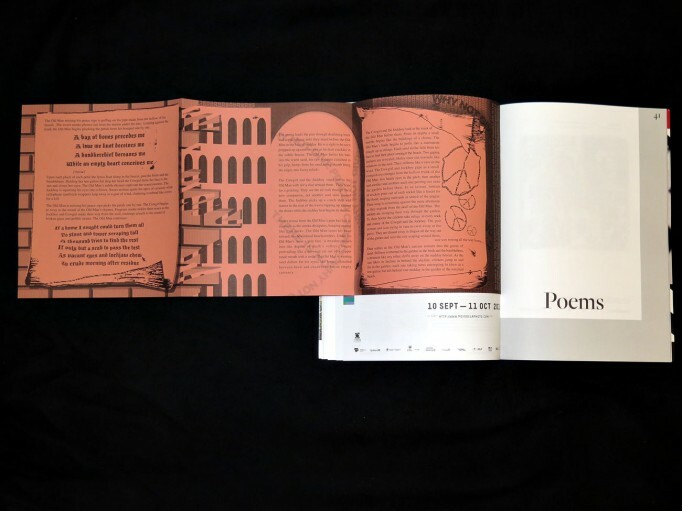 Mobile Phenomena is the fourth book published by Half Letter Press, a publishing house and online store started by Temporary Services to build long-term support, and expand the audience for people that work creatively in experimental, political, and non-commercial ways.